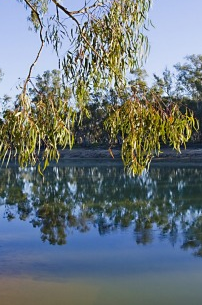 Community consultation for the Northern Victoria Resource Plan is now open. Authorities want the plan to reflect the realities on the ground across northern Victoria, and create confidence in how the Basin Plan will be implemented across the region. The draft lays out the state’s plan for how much surface and groundwater can be used for farms, towns, industry, recreation and the environment. It will also show Victoria’s risk management strategies for climate change, drought, water quality. Community consultation for the draft Northern Victoria Resource Plan is open until 4 March 2019. Public information sessions are being held in Wangaratta, Yea, Shepparton, Kerang, Bendigo and Mildura. These sessions will provide an overview of the plan and an opportunity for the public to ask any questions. “The public information sessions will be advertised through multiple avenues to ensure as many people as possible can attend and additional sessions will be scheduled as required,” Victoria’s environment department said.